This course is designed for ABSOLUTE BEGINNERS, and I strongly believe that at the end of this course you want to use these skills as a Professional. 3. Camera Raw Editing – The true professionals do 50% of editing with Camera Raw. 11. You will get the benefits of my 20+ years experience to add efficiency to talent. In this section you will learn special techniques to retouch portraits, Removing spots from face, making skin silky smooth without loosing natural texture, add make up, change color of eyes. Bleach yellow teeth. The techniques and sequence of the topic is arranged to transform you from a Student to a Professional. The length of this course is massive compare to most of other courses, its over 25 Hours, but that should not bother you, You can choose how far you want to go, what level of expertise you want to achieve, You want to learn to have fun with image editing for your Facebook post, or you want to develop skills as a creative professional and charge good money for your skills, or super shine at your job interview. More over you will need this course even in future as a reference guide, all professionals need that, Anyone claiming that you will learn Photoshop in x days is an absolute lie. There are over 20 challenging PSD project files included – All those are backed up by video explanations layer by layer. Initially these projects look like impossible task, only to surprise you to see that it’s just a magical secret that very few are aware of. The course is recorded on Windows based PC, Mac users have to understand the keyboard differences. 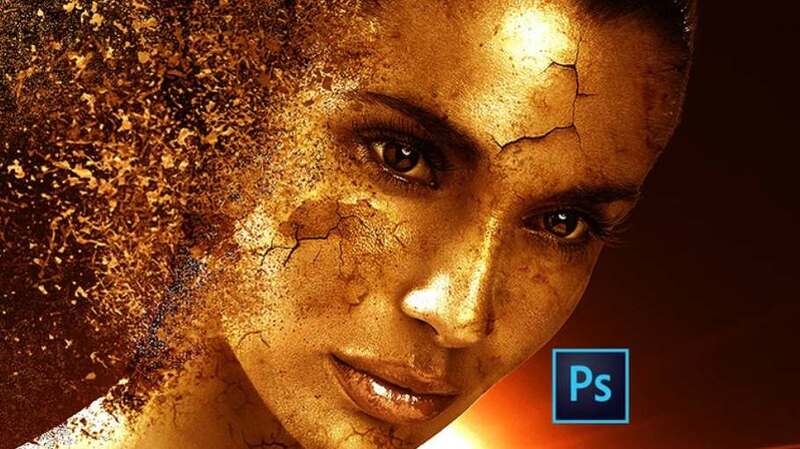 Get your Free Udemy Course on Mastering Photoshop CC 2017: Learn like a Pro by clicking here.